Loan fell, back on market! Here&apos;s your chance! 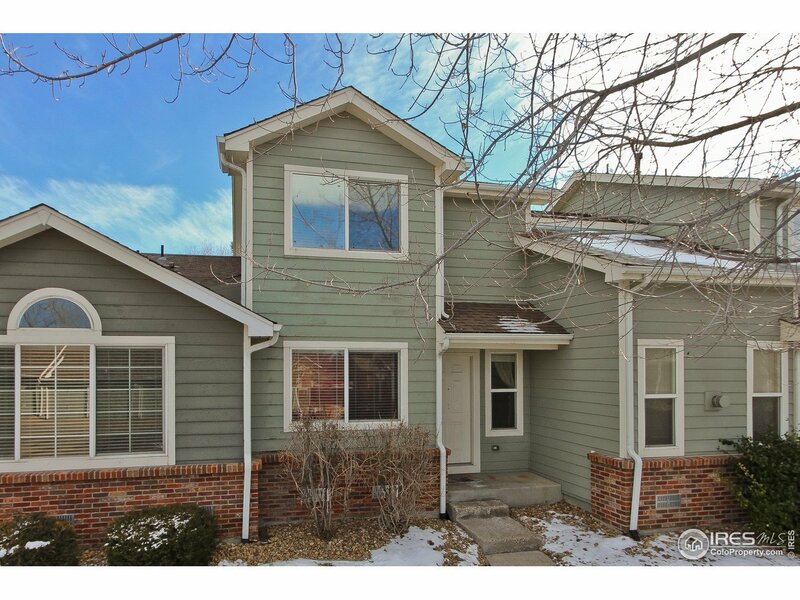 Comfortable main level has eat-in kitchen, convenient half bath and large living room with fireplace. Upstairs, enjoy vaulted, spacious bedrooms and full bath. New furnace in late 2018. Private back patio backs east to mature trees and walk way. Building freshly painted. Front door accesses public parking directly. Parking garage is #46. Quiet subdivision, peaceful living close to parks and shopping. Come see!